Disappearing Ink 4-in-1 Face Concealer Pen quickly brightens the appearance of dark circles, blurs the look of blemishes and wakes up tired-looking eyes. It’s the complete solution to erase signs of sleepless nights, premature aging and visual stress. It's buildable formula is a perfect companion to sheer to medium foundations. Apply Disappearing Ink concealer in an upside down triangle shape under the eyes. Use the Skin Perfecting Concealer Brush to blend for a flawless finish. Apply Disappearing Ink concealer one to two shades lighter than complexion under the eyes, down the bridge of the nose and in the center of the forehead to add depth and definition to your natural features. Before: At night, clarify skin with In the Clear Clarifying Cleanser. Follow with Gift A Lift Firming Facial Moisturizer. Smooth on Ceretin Serum Age-Defying Concentrate to correct imperfections. After: Use the Liquid Chisel Brush to apply HydraFluid Water Serum Foundation all over the face and set it with 4-in-1 Pressed Mineral Powder. Use Disappearing Ink 4-in-1 Face Concealer and the Blurring Concealer Brush to conceal dark, under eye circles. Sweep Universal Marble Powder in Spice over cheeks. 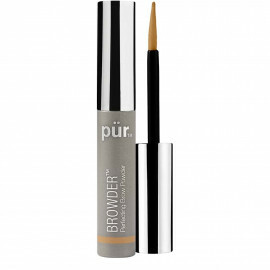 Use Browder Perfecting Brow Powder to fill in brows. Sweep Devoted from the Au Naturel Eye Shadow Palette all over the lid. Coat lashes with Fully Charged Magnetic Mascara. Used this once and really liked it. I also use the bronzer. Love the bronzer it’s the best. I will keep buying. 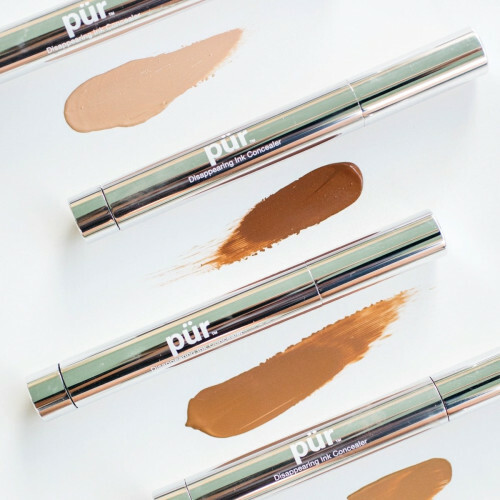 Going all Natural with PUR! I only have to use a little bit to cover up my dark circles under my eyes. I love this concealer and this was the last thing I bought to make all my makeup all natural. I recommend this concealer to everyone. Easy to use. Results are great. Would definitely recommend. Absolutely love it. Great coverage and light weight. I would purchase again, as well as recommend it to others. Wonderful product for covering spots or a quick touch up on the go! I love this concealer. I use the “light” color, a shade lighter than my powder color, under my eyes every day. 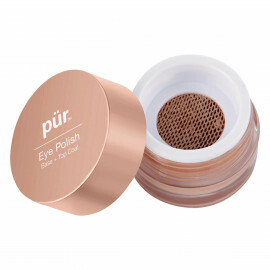 I’ve been using Pur for 10 years! It works just like it's name. Dark circles disappear. Works amazing!!! That is...if you can get any of it out of this pen! When you first get the pen you have to turn it like a 100 times for anything to come out...and even then nothing...until you put it aside and wait like 15 minutes. Then it start free flowing and works wonderfully until a week or two later of minimal but daily use....because the pen is only 1/2 filled (which is why you had to turn it so many times to begin with). At first i thought maybe this was just bad luck and an isolated incident, after all i've never had issues with a PUR product before! and I did love the concealer itself....so now i've ordered and tried it about 5 times, usually only buying it while on sale but it's the same issue over and over again. I wish the packaging could be changed to make it a better applicator/quantity of product, otherwise it is not worth the price for what you get. Too bad because other than that the concealer itself is great! Covers well, I use it with primer and it is a smooth finish. It doesn't match the foundation. I purchased this along with a foundation stick. I purchased both items in the color light. For whatever reason, the colors don't match at all. The concealer is orange. I've never met a person with orange skin. I also own a Pur kit that has the cream concealer in light. It is also orange and I have no idea why. You can hold tge concealer up to the other facial products and they don't match. It is very disappointing, because I had read that the concealer is great. I'm still on the hunt for a concealer. My favorite concealer! Gildes on smoothly. I love the way this concealer covers the circles under my eyes and any blemishes. It leaves a very pretty shimmer too. It isn't heavy but still covers well. The product is not tested on animals and they are mindful about the ingredients they use. The only downside I had with this product was the color. I had a sample of medium and it was a little too dark, so I bought the light. The light is too light for me. I feel like there is no in-between color. The medium blush looks almost pinkish, so I didn't go for that one. This concealer is great! It doesn’t crease and lasts all day. Great coverage! I love the applicator! I really like this concealer! Will definitely order again! Easy to work with and is effective in hiding dark circles. I have used this for over a year and keep buying it. It covers blemishes and age color spots. Love how this looks under my eyes and any where I care to highlight! This has been my best purchase yet. I am prone to acne and have some dark discoloration scars due to it. This stuff is like magic! It covers the discolorations so smoothly. 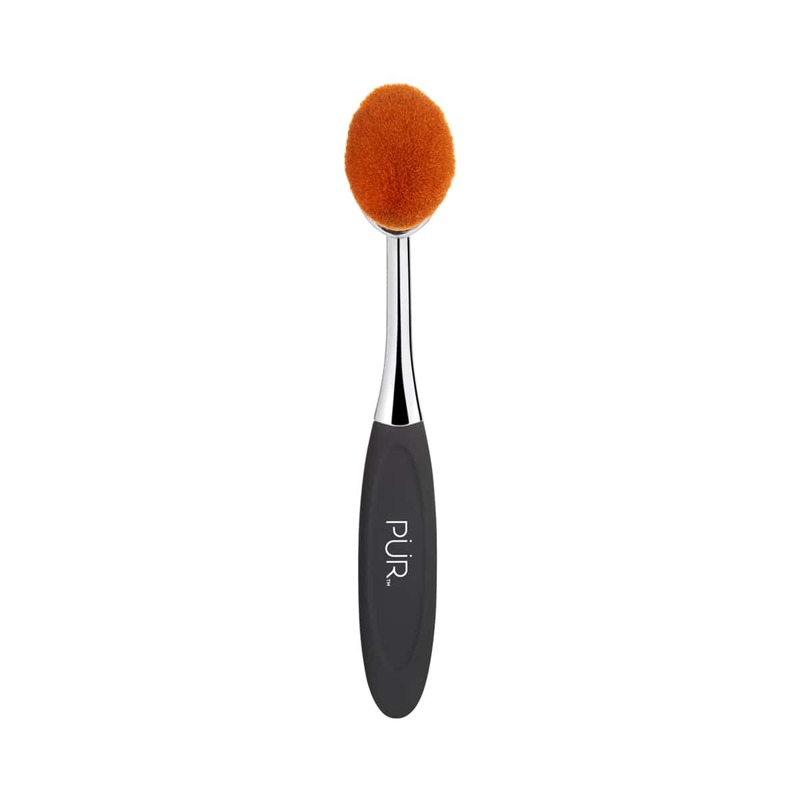 Also I have very uneven skin tone and between this and the 4 in 1 powder makeup I get a flawless complexion.i also highly recommend using the Pur skin perfecting concealer brush with this. It works better than using a sponge or the applicator. For me the brush is necessary because without it the coverage is only so so. This product blends incredibly well and is extremely hydrating. The skincare infused in the product helps immensely for spot treatment as well! My favorite concealer, hands down!!! Covers all redness and never creases or feels cakey! Totally lives up to the claims- only concealer worth buying. Goes on smooth. A little lighter than expected, but the next shade is too dark. Easy to blend. Would love for it to be in a clear casing, as it's hard to tell if it's close to empty. On the fence about ordering again. Like this product. Love the applicator. Goes on perfectly. Covers well. Easy to blend. I love this concealer; I just wish it cam in a tube. The applicator is easy to use, it just makes it difficult to tell when you need more. Lots of cheap makeup works well for me, but this is worth the money. Covers well. Doesn’t crease or crack. Moist love this product! I love this product. I put it on kind of heavy, and then blend it with my foundation! My favorite concealer!! I use it everyday I absolutely love the lightweight texture and coverage it gives ! I wish we would get a bit more product but I love this stuff ! I had been looking for a while for a concealer to cover up my hyperpigmentation from acne. this is the only concealer that I have used that fully covers and blurs over them, and actually stays. the coverage is amazing, and I will never use a different product other than this. it stays on all day, even when I go outside. 10/10 would definitely recommend! I bought this for the first time recently, it's a good product, great coverage. However, it doesn't last long, the tube empties quickly. I probably won't purchase it again as the value for it isn't there. Received a sample in my Ipsy bag, had to get more! After receiving a sample of this product in my Ipsy bag, I knew I needed to get a full sized product! This concealer covers well immediately, and lasts a decent amount of time. This is hands down the best concealer I have ever tried. I love how light weight it is, how smoothly it goes on and the coverage is amazing. Plus, it doesn't cost a million bucks. Thanks for a terrific product! It is perfect for me, First time I tried it, when Ipsy sent me a sample, a few days ago, Dissapearing Ink Concealer 4 in 1 ,I t's THE BEST. The name fits the product. I won a giveaway on IG and had the opportunity to pick out items to try. I decided to give this product a try and now I'm hooked! It does exactly what it promises. It's seriously the best concealer I have ever tried. It covers perfectly and stays put all day. I love it! I got a sample from ipsy, but the Light shade was too dark for me. I took a chance and bought Porcelain and it is perfect for covering up my acne! Lasts all day. I got a sample of this in my Ipsy bag and I had to go buy more!! It covers your face SO well yet it's such a light formula. It doesn't look caked on, a little goes a long way!! It covers my acne scaring and dark bags under my eyes so well!